Abstaining is central to the democratic process. It allows a voter to still have a voice in an election, even if they don't want to vote; otherwise, your voters will just not vote, and your voter turnout will be impacted. 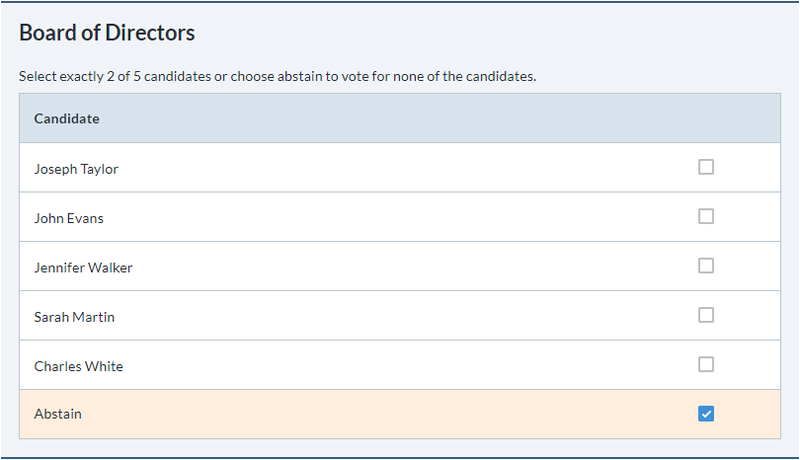 All ballot questions in Electionbuddy can have abstaining enabled, regardless of the voting method used.